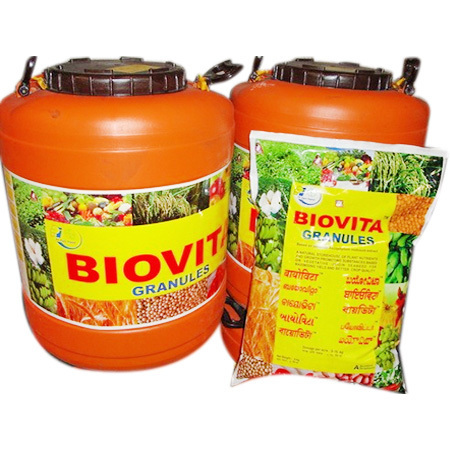 We deal in formulation and packing of Bentonite granules for Bio fertilizer, pesticides and herbicides products as per requirements. At present we provide formulation and packaging services for many limited as will as private reputed companys. We maintain high standard of quality, safety, production and scheduling as a reliable and trusted supplier to the corporate manufacturer. Our capabilities include formulation of Bentonite granule as per specification and packing in different size ranging from 500 grams to 50 KG packs. We have earned our exclusive customer trust with our integrity, reliability and economical methods. We are able to customise the product and adapt to changing requirements faster and more efficiently as an independent owner. We have invested in a dedicated processing and packaging center based on a long term commitment. We have management facilities, financial capabilities and track record to provide similar dedicated and outsourced processing and packaging services to other companies. For inquires, please contact us. The unit has 1000 sq. mt of built up area of factory and distribution space with modern machineries for formulation and packaging. Our unit is located at GIDC Panoli, Tal. Ankleshwar, Gujarat, India.